Tap the sweet taste of spring at the annual Red Oak Maple Fest! 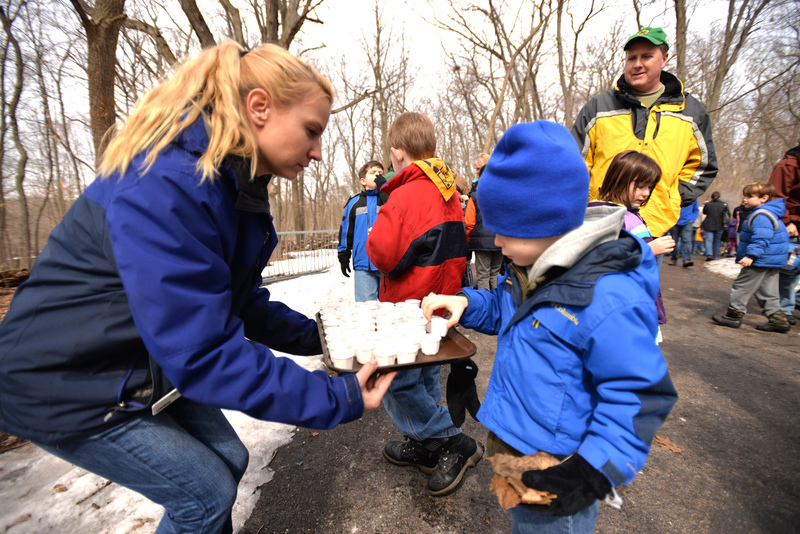 Naturalists from Red Oak lead visitors to various stations in the woods to view demonstrations of maple sap harvesting for delicious maple syrup. Each group will tap a maple tree, then witness the process of the sap’s conversion into syrup. Tastings follow with maple-themed treats and hot beverages available for a small fee. Also, the event features items for sale from Vermont – the maple syrup-producing capital of the world – that include small bottles of maple syrup, candy and beef jerky. Dimple Donuts provides maple doughnuts while supplies last. Free and open to the public.